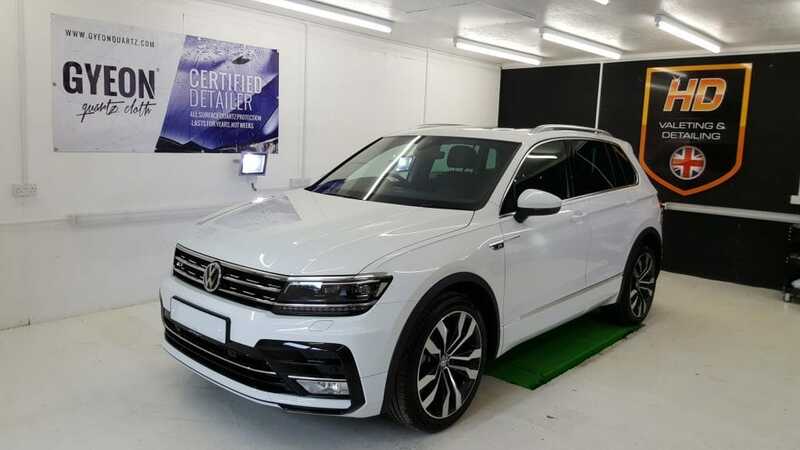 Multiple layers of GYEON quartz MOHS+ (Certified Detailer’s Only) on this Volkswagen Tiguan. 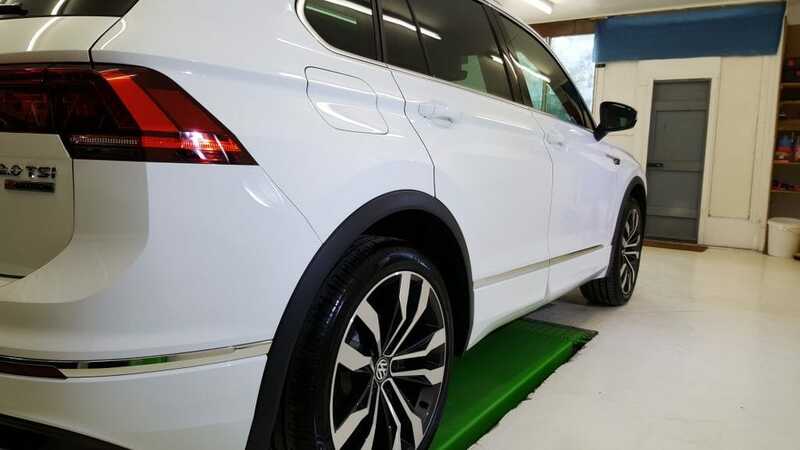 MOHS+ strong self-cleaning and anti-vandalism properties, also provides excellent protection against bird droppings, bug splatter, road salt and harmful UV radiation. 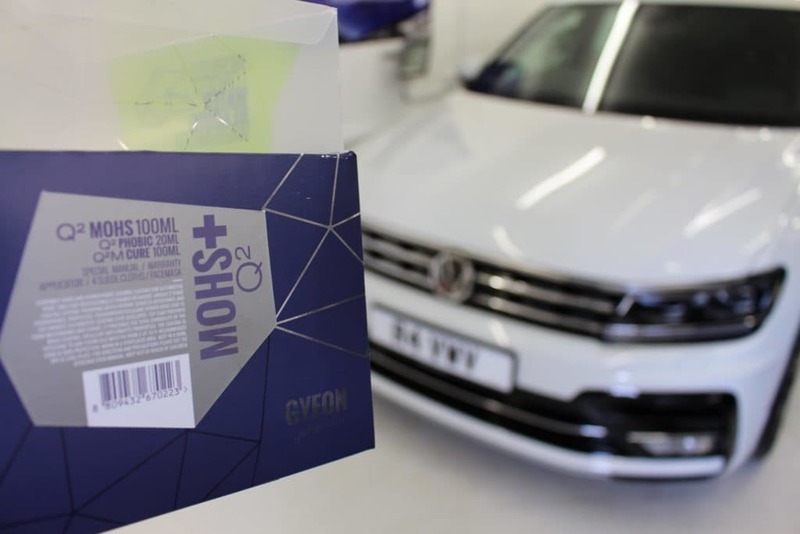 MOHS+ also come with a 5-Year Manufacturers Warranty, which reflects the faith that GYEON place in their Quartz Coatings. 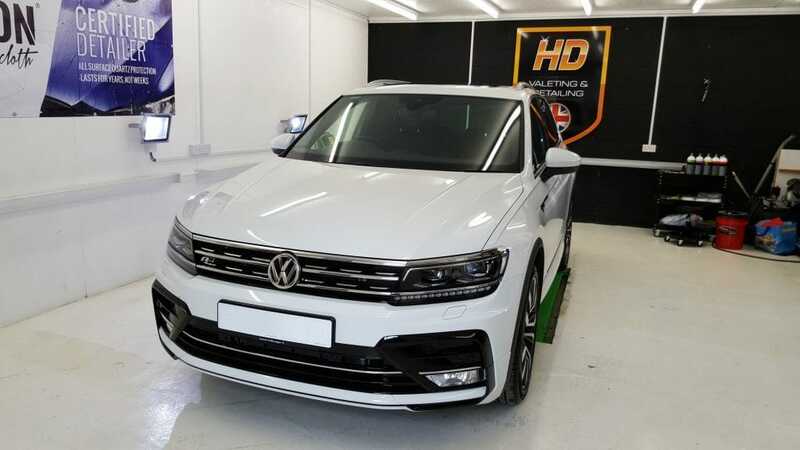 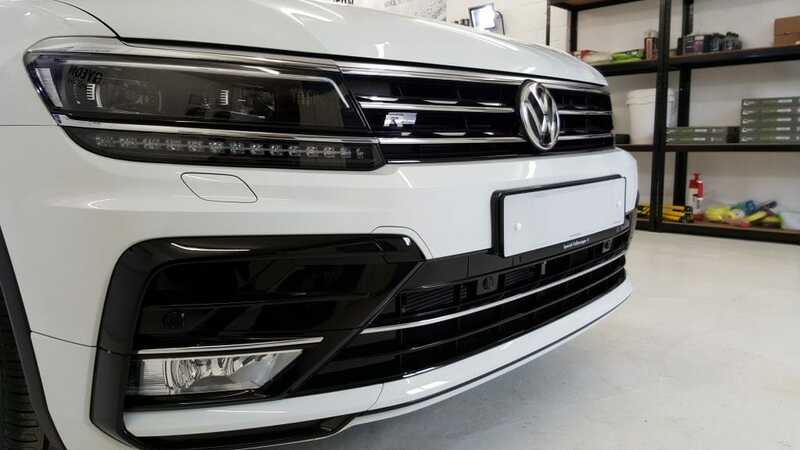 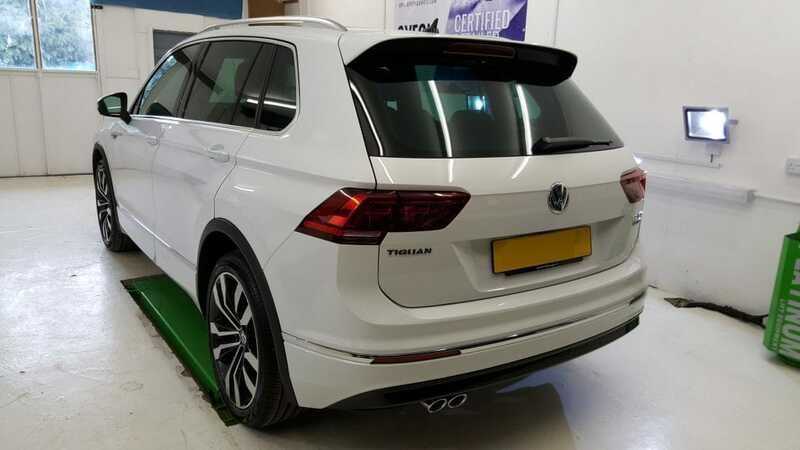 Volkswagen Tiguan after multiple layers of GYEON quartz MOHS+ to automotive paint – GYEON TRIM to Plastics – GYEON RIM to Wheels – GYEON VIEW to Windows – GYEON FABRICCOAT to Fabrics – GYEON LEATHER-SHIELD to Leather Upholstery.